Rappers G-Eazy and Macklemore are both part of an impressive, two day RedFest DXB line-up, but if you can’t make the festival next month – there’s another way to see the stars, as they’re both set to host epic after parties. First up, G-Eazy will head to superclub White Dubai on Thursday February 14, while on Friday, Macklemore will headline at Drai’s. If you’re keen to catch G-Eazy at White Dubai, tickets are on sale now. Early bird tickets for ladies are Dhs250 including one drink, while guys pay Dhs350 for entry and a drink. Once general admission go on sale, tickets will be Dhs350 for ladies inclusive of tw drinks, and Dhs500 for guys, also including two drinks. It’s not the first time G-Eazy has hit the stage in Dubai – he performed at Cavalli club in 2018. The American rapper has collaborated with stars including Halsey and Bebe Rexha on hits such as Him & I and Me, Myself and I. 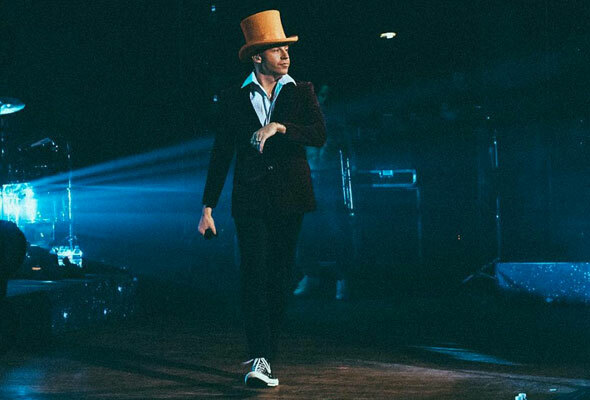 While on Friday February 15 American rapper Macklemore will take to the stage at Dubai Media City, before heading on to perform at neighbouring superclub, Drai’s. The same ticketing structure and prices will apply, with early bird tickets to see the rap star on sale now. “It’s been a couple of years since I was there, I love Dubai, I plan on buying some gold,” the Can’t Hold Us hitmaker said on Virgin Radio when the gig was announced. RedFest DXB will see no less than six stars take to the stage this February. Joining G-Eazy on Thursday will be Brit popstar Jess Glynne and Grammy-nominated French DJ Snake, while the second day of RedFest DXB will see Camilla Cabello and DJ Jax Jones headline alongside Macklemore. You can get your tickets now from Virgin Megastore.